If you’re looking for a seamless, stress-free move, rely on the professionals at Affordable Moving Services. We do everything when it comes to your move, whether you’re looking for full-service commercial or residential moves, or packing and unpacking. You’re taking the right step when you hire our small family owned business, bringing you more than a decade of experience. 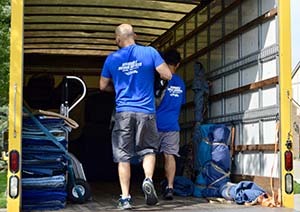 Our trained movers consistently work hard day after day to make sure you don’t have to stress about the details. 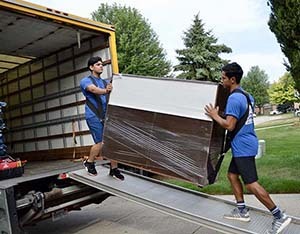 So, when it’s time to move your home or office, get in touch with the best movers in Oakland Township, located in North Oakland County, with a population of just 17,000 at last count. Not only will we wrap and pad your valuables, couches, appliances and more, we will also provide carpet shields at a minimal cost. We have been moving people like you throughout Metro Detroit for more than a decade. Thus, Affordable Moving Services LLC is your go-to provider of all kinds of moves, whether you’re buying your first home or uprooting your office from one end of town to the other. From loading and unloading to full-service moves, we are your chosen BBB Accredited Business, giving you consistent quality services at exceptional rates. To get going on planning, obtain a free quote on services of all kinds, from residential moves to commercial relocations. Here at Affordable Moving Services, we will take care of the logistics while you concentrate on more important things relating to moving your family and employees. If you simply don’t have the patience or time to pack, let our trained experts bring packing and shipping materials to your home to get the job done. Our main goal is keeping your belongings safe from beginning to end. We give you assurances of professionally trained movers who are more than qualified to pack and move your belongings. Not only are they accommodating and friendly, they put a lot of care and attention into transporting your furniture, electronics, and other belongings safely no matter how far the trip. Our local company, bringing more than 10 years of experience to every move we handle, prides itself on offering clients a cost-effective solution that they can’t get anywhere else. Our headquarters is located in Rochester Hills, but we happily serve all of Oakland Township and beyond. For more information on our services in Oakland Township, please contact us today at (248) 260-7026 or email us at affordablemovingservices@hotmail.com.